Welcome to The Aesthetic Plastic Surgery Center of Barrington, LLC home of Board-Certified, Plastic Surgeon Dr. Gregory Michael Bazell. 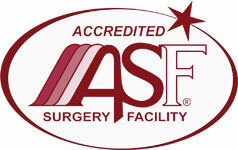 We proudly offer exceptional, natural aesthetic plastic surgery, hair restoration and non-surgical rejuvenation. This site provides information about Dr. Bazell, general information about our practice, procedural information, as well as travel information for out-of-town patients. Additionally, you will find a small photographic sampling of Dr. Bazell's work in our gallery of before and afters photos. At the Aesthetic Plastic Surgery Center of Barrington, we understand that finding a qualified, board certified plastic surgeon can often be a confusing process. We hope to included all of the necessary information, as well as answer your questions, to guide you in making a decision. We also encourage you to review the testimonials from Dr. Bazell's patients. We invite you to contact us today with any questions, comments or to schedule an appointment. South Barrington Plastic Surgeon, Dr. Gregory M. Bazell is a medical professional dedicated to excellence in plastic surgery such as breast lift, augmentation and reduction, liposuction, Botox treatments, tummy tuck, and more.